A makeover isn’t magical, but it sure can feel that way! Making a single, strategic change to your workplace wellness program can be easy and worthwhile—and a successful makeover, regardless of its recipient, can boost confidence, energy and overall satisfaction! 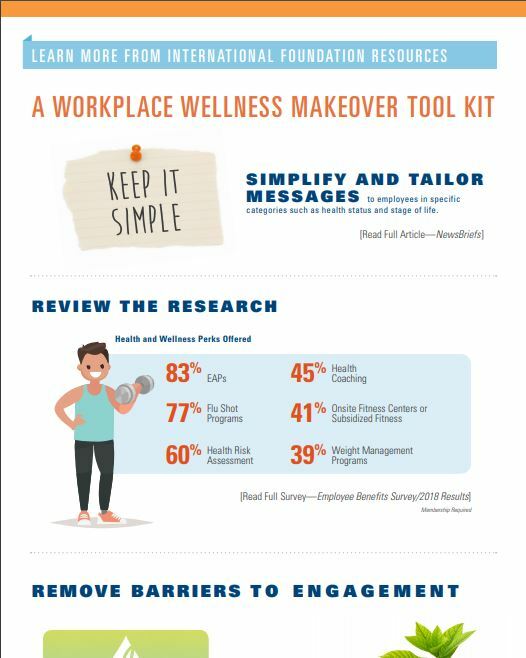 If you are looking to get your wellness program noticed in 2019, check out the International Foundation Workplace Wellness Makeover Tool Kit! The interactive PDF provides access to webcasts, articles, blogs and surveys filled with tips, best practices and research aimed at fostering a culture of well-being, driving engagement and impacting organizational performance. Before jumping into your program’s renovation, consider watching the webcast Why Employees Dislike Wellness Programs and How to Change Their Mind-Set featuring CEO and founder of Wellness Workdays Debra Wein. Debra shares that the number one reason for low participation in wellness programs is lack of awareness followed by employees’ lack of time. 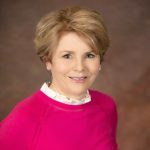 Tina Marshall, senior director, total rewards, T-Mobile US, Inc., agrees that an effective communication plan is at the center of a successful wellness program. In the webcast Rebrand Your EAP To Eliminate the Stigma and Increase Utilization, Tina shares the story of T-Mobile’s simple rebrand of EAP counselors to life and money coaches to eliminate the stigma of contacting the EAP. 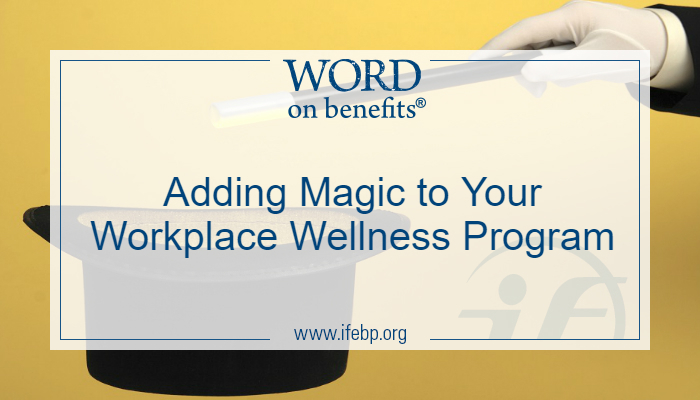 Downloading the Workplace Wellness Makeover Tool Kit is your first step in bringing the magic to your organization! From there, it may be as simple as incorporating a little fun into your workers day or as dramatic as making your program more accessible through technology. Either way, look for the magic! For access to more resources for your workplace wellness makeover, visit the Workplace Wellness page of the International Foundation website.